Condo, 2 Bedrooms + Convertible bed(s), 2 Baths, (Sleeps 4-6) 3 night min. Your ticket to a vacation in paradise starts here at...Gulf Shores Surf and Racquet Club. We offer the best of two worlds - right between the Gulf of Mexico and the Little Lagoon - located on the quiet West end of Gulf Shores. GSSR is directly on the Little Lagoon, and from our balcony you have a magnificent view of the Little Lagoon, our beautifully landscaped court yard and pool area. When you open the front door, you can see and hear the ocean. One of the best views of the Little Lagoon in the complex!!! Imagine waking up in the morning... walking out onto your private balcony... while having breakfast there... you hear the water softly trickling down the rock waterfall... you look out over the lagoon and catch a glimpse of a fish as it jumps ... PARADISE!! This is an ideal complex for families.. it offers something for just about everyone. The complex has a boat ramp on the Little Lagoon for boaters or wave runners, or you can fish or crab from our two lighted private piers. Tennis anyone? We have 2 lighted tennis courts, a shuffleboard court. The children's pool and adult hot tub are located within a few feet of the swimming pool - so you can keep an eye on junior while enjoying the pool. The beach is just a short distance across a quiet 2 lane street. If you are looking for shopping - in the Gulf Shores/Orange Beach area you can shop until you drop... outlets and specialty shops all along Hwy 59 - we are approximately 3 miles from Hwy 59. Come take a look... and visit us in paradise. New listing - monthly Winter rental available. View from the front door and front bedroom window - our private beach property is located a short distance across a quiet 2 lane road. Toaster, coffee maker, crock pot, pots pans, knifes - forks just about anything you will need for your vacation. Balcony off main bedroom and living area offers magnificent view of the pool and Little Lagoon. The main pool, the childrens pool, and the adult hot tub are located close to each other. Very peaceful and serene place to stay. Very nice view overlooking the lagoon off the balcony, watching dolphins surface in the morning while having breakfast. Pool area surrounded by nice landscaping. And then of course the beach is just across the street with a very convenient boardwalk. We decided to go just after peak season ended. The condo and beach were not crowded at all so it was a nice relaxing stay. Our 5 month old’s first vacation! There was plenty of room for my family of 5. The renovation to the kitchen and bathrooms were nice. Love the location, out of alot of the traffic. Pool area was beautiful. Fishing from the lagoon was great. Short walk across a 2 lane to the beach, but usually there was little traffic. The beds could use new mattress, little on the worn side. Overall it was a great place to stay and would likely return for another visit. Location was great. Short walk across to beach. Couple of miles to main attractions. Condo was clean. Beds were comfortable. View of the lagoon was beautiful from condo. The condo was great. Had some problems with a whole family taking over the pool playing football and hitting others with it. They were told to stop but they never did. Other than that we had a great week. Everything was nice and the view of the lagoon was breathtaking!!! Best vacation we have had in a long time. The jellyfish were pretty bad the whole time but we never slowed down. There was so much to do with the lagoon,the pool,and the ocean we struggle to spend time at all 3. Well worth money and time spent. Great condo for our weekend trip. Short walk to the beach! Thank you for staying with us. We hope you will return. Dolphin Tours, GSSR has a open shower conveniently located - to wash sand off you and your beach supplies as you return from the beach. 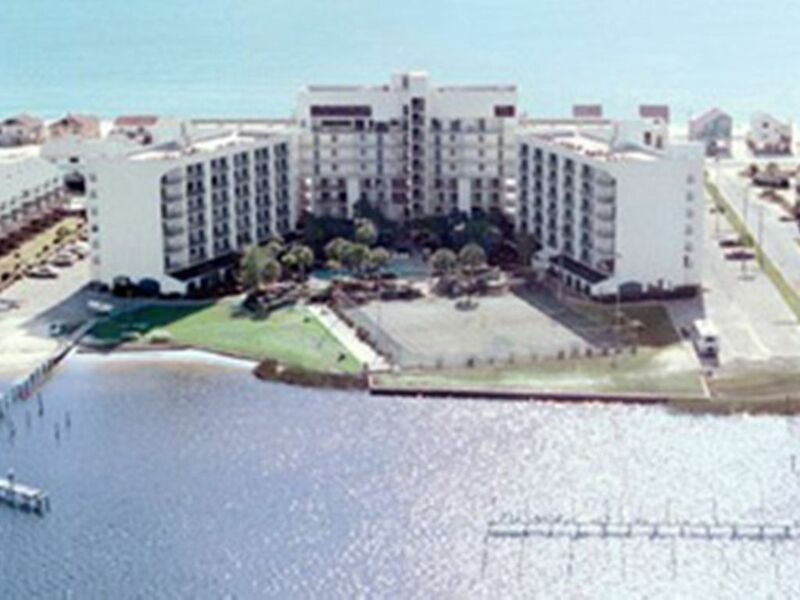 For additional information our web site www.coultersbeachcondo.com. First payment is due at booking plus the VRBO FEE at the time of booking.. The balance due 15 days prior to check in. If you have any questions please call 334-332-5886 Parking fee is an additional charge by the GSSRC Association -Parking is to be paid at the GSSRC front office and a parking Reg. is required for each vehicle on the GSSRC property.